We celebrated 28 years on September 4th. Since I had the big Summer wedding prep behind me, I was able to sneak in some time between other projects to paint a piece for my Sweetie, which was very long overdue. 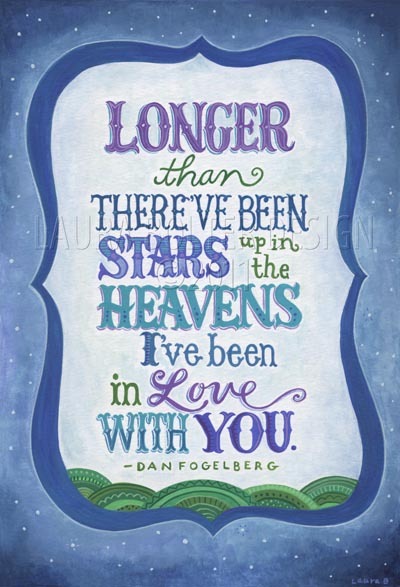 He's a big astronomy buff and he sang this song to me at our wedding. When I was thinking about quotes I might use I thought of this and thought no more. It seemed like the perfect thing to give him. I love you Sweetie. Here's to at least another 28 years.